Curate Journeys to Meet the World in Person. Lola Méndez, Lola is a women’s empowerment activist sharing her adventures on Instagram.com/MissFilatelista as she travels and works pro bono on branding projects with NGOs. 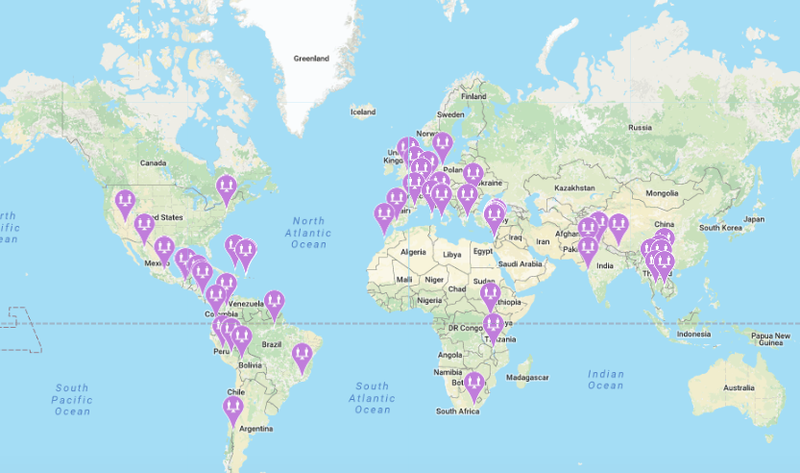 Visit.org, the globe’s first platform for immersive and impactful travel experiences, has launched an interactive, searchable global map allowing users to travel the world for a cause. The user-friendly technology gives travelers the ability to search by both cause and location to find and book social travel experiences hosted by highly vetted do-good organizations around the globe. Activities include learning how to make coffee with indigenous farmers in Peru at Cocla Tours or cooking traditional meals with migrant women in New York City with League of Kitchens. The map that features 590 localized transformative travel experiences hosted by 420 partners in 70 countries. Visit.org reverses the traditional model of voluntourism; instead of the visitor providing a service to the local community, the local community provides a service to the visitor. The 8 initial searchable causes are agriculture, animals, culture, economic empowerment, education, environment, health and human rights. Visit.org partners with social ventures including nonprofits, NGOs, and other community-based enterprises. Their commitment to responsible travel and sustainability is simple: 100% of hosts’ revenue is invested back into the local community. The easy-to-use map tool allows consumer to search for Visit.org partners that support their interests and find a day tour, activity, or short excursion that can be folded into their travel itineraries. This innovation makes it easier for any traveler to partake in responsible tourism and engage in authentic cultural exchanges. How will you meet the world in person?